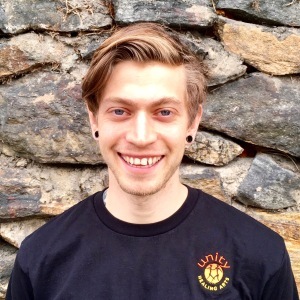 Dylon has been practicing massage for 8 years and deeply enjoys what he does. He integrates the clinical style of outcome based treatments with the relaxing movement of slow, steady pressure and tractioning. He works as a healer on a physical and energetic level keeping his pressure intuitive. Dylon studied in Chicago at the Soma Institute and at Blue Lotus Thai, totaling 950+ hours of training. He has also been practicing Reiki since he was 13. His grandmother was a healer, and passed a great deal of her knowledge to him. Prior to massage Dylon attended college for Sculpture and still actively creates work daily. His tactile talents make him versatile with his hands and certainly makes for a unique technique. The body can be shaped and shifted, just as a sculptor manipulates the form of clay, stone and metals. However, the body can not be forced into healing, it must be given space to heal itself.